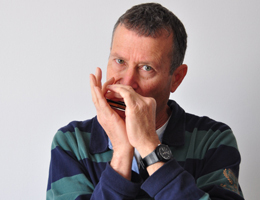 Welcome to Harmonica Breeze, the school for learning music and the ultimate site for learning harmonica on-line. Students learn to read notes, basic music theory and how to produce different sounds while playing a variety of international songs. The comprehensive fun lessons are taught through texts and animated videos where students follow notes while listening to the music. A teacher is available to answer your questions and provide feedback. The site is user friendly and suitable for computer, tablets and mobile phones. Register to the site and receive the first 6 lessons free. Your harmonica is waiting for you! November 01st – 05th 2017 in the musical town of Trossingen, Germany.